We all know the classic pan-fried version of Gyoza. You can make them yourself from scratch, or buy them in your closest store. But one of the best way to eat them is boiled in a Tom Yum soup right! If you know us, you might have noticed that we have a fondness for travel and an appreciation for the diverse cultures that bring this planet together. We particularly LOVE Gyoza. If you haven’t tried them yet, they are an awesome little dumpling with crispy bottoms and silky tops. What’s not to love? 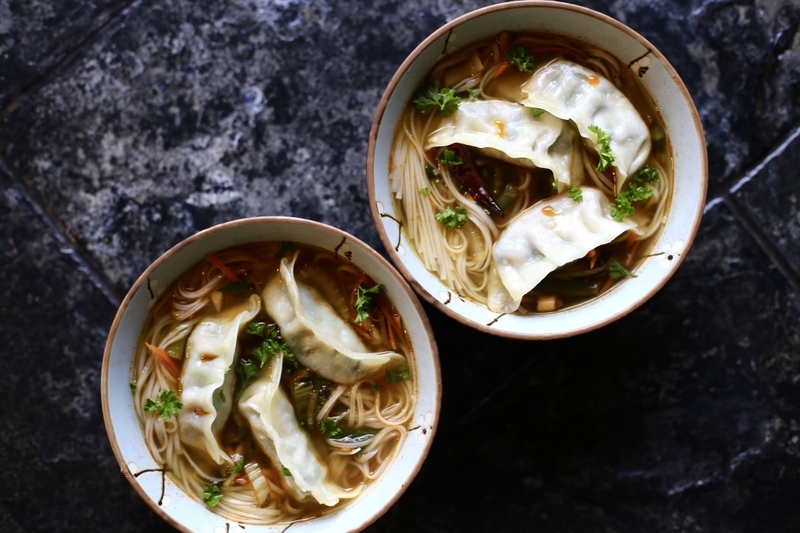 When we discovered Holly’s recipe (@Paradise Pantry) featuring our Hart & Soul Tom Yum Kit with Gyoza, we couldn’t be happier. This recipe is easy for anyone to make. There is no need for special ingredients, everything should be on hand at your local store. Time to get cozy and enjoy your Tom Yum Kit Gyoza Bowl watching your favourite show!